Last updated by kprzemek on 2018-10-16. Originally submitted by tomash on 2014-05-27. 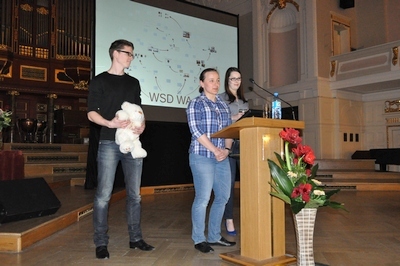 Welcome to the website report from the 111 years of English studies in Poznan celebrations. 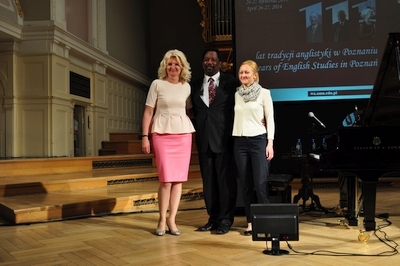 The event was an extraordinary success thanks to the wonderful staff of the Faculty of English and its students. Special thanks are due to the ‘111’ organizing committee for their professionalism and devotion. 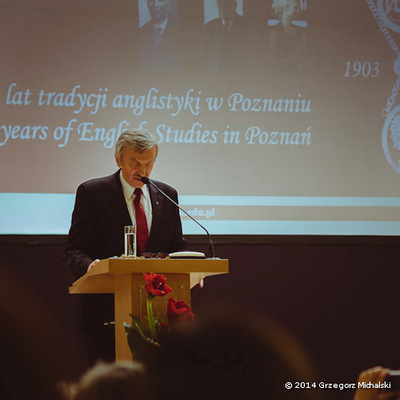 We were honoured that so many distinguished guests accepted our invitation, from Poland and abroad. 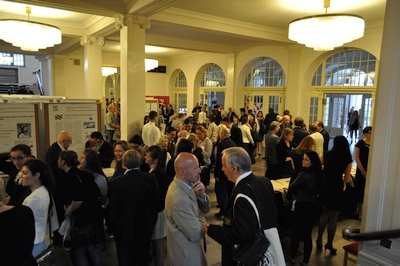 We were very happy to have seen our graduates, friends and fans enjoy the academic gala. 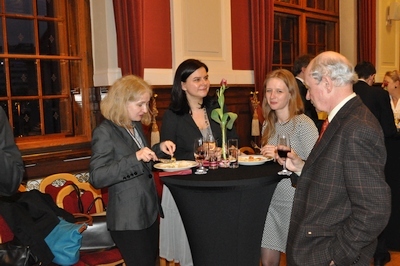 We valued the presence of heads of English Departments from all over Poland. We are grateful to our sponsors for their generosity, and privileged by His Magnificence Rector of AMU patronage and presence at the celebrations. 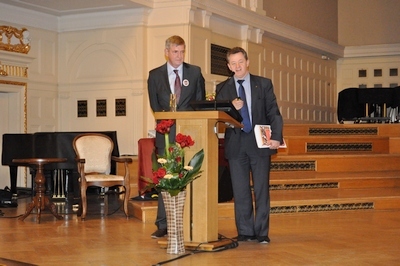 We thank the Deputy Mayor of Poznan for his warm support. We appreciate all the words of congratulations, best wishes and thanks which we have received in great numbers, starting with the highest authority in science and higher education, Madame Minister and many other officials, colleagues and friends. This academic event has had a lasting effect. Please visit the pages to see the richness and diversity of research conducted at the Faculty of English. Browse through the photos to see that we enjoy what we do. This is us: the Faculty of English at Adam Mickiewicz University in Poznan. Przemówienie Dziekan WA na uroczystość Absolutorium 2014, nawiązujące do Obchodów "111"
Dr Stan Breckenridge from California State University Fullerton, musicologist, musician and Distinguished Fulbright scholar in Poland, performed an unforgettable concert for us on Saturday evening. Stan Breckenridge has performed or appeared with personalities such as Madeleine Albright, Bill Cosby, Jerry Lewis, Nancy Sinatra, John Travolta, Mahalia Jackson, John Wayne and others. 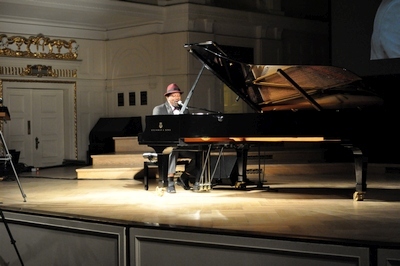 His performance career, as a vocalist and pianist has spanned the globe delighting audiences in France, Hong Kong, Japan, U.K., Poland, and many cities throughout the United States. He has released a number of CDs of original works. These include Love Sign (2010), Reflections (2009), A Soulful Christmas (2008), This is My Song (2007), Live in Poland (2005), Solo (2003), Meditations (2001), and Expositions (1999). His most recent releases are entitled All about jazz and Out of love of jazz - both came out in 2013. Thank you, Stan! Unforgettable - yes! That’s what you are.